Size. 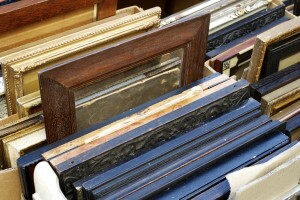 If you measure a space, please be aware that artists normally talk about the canvas size when quoting, so an allowance of c. 10cm or 4″ all round should be made for the frame. Approximate budget. This will define the field of artists. There is no point in wasting time searching among artists who are way out of budget. 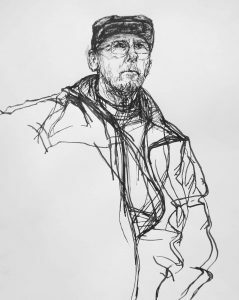 The price-range for a Member of the Royal Society of Portrait Painters would be from £500 for a pencil drawing to over £75,000 for a large work in oil by an eminent artist. Other considerations would include where the sittings will take place and, eventually, what clothes should be worn. Often the choice of artist has an effect on this or conversely it can affect the choice of artist. There are pitfalls when choosing an artist so we provide consultants to help you. 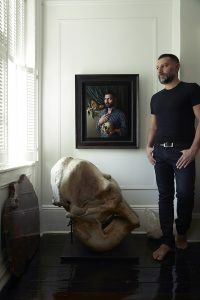 We recommend getting expert help at this stage, because choosing an artist can be overwhelming and because a mistake at this stage can be disastrous. Our experienced consultants guide you through the portfolios in a face-to-face consultation in our Central London offices or, using your brief, they can shortlist suitable artists for you by email. 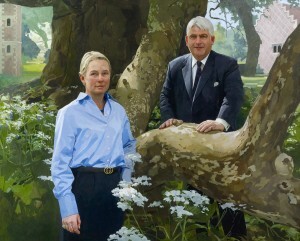 They then remain on hand throughout so that commissioning your portrait is easy and enjoyable. 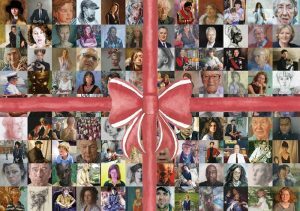 You can browse and select portrait artists without the assistance of our consultants on this website if you prefer. 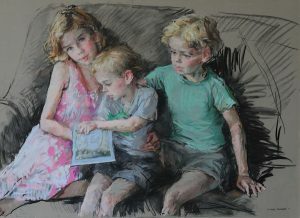 You will find that choosing a portrait artist is instinctive. It is clear within seconds whether an artists body of work connects with you. Therefore it is best to scan work quickly in the first instance to create a short list of artists who appeal to you. Once you have a shortlist you can then start to think and analyse. 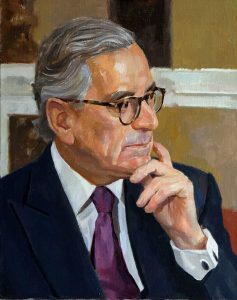 You know that the quality of our Members is high because each one is rigorously selected by professional portrait painters. 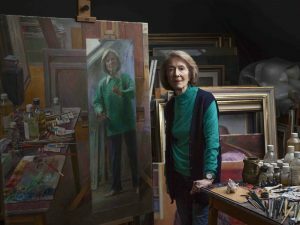 Our Members are experienced and reliable, but the pool of artists on offer can be extended to include emerging artists who have exhibited alongside our eminent members. Once you have selected an artist, it is good to meet. These initial discussions are held without commitment on either side. Once the details are established, the artist should be able to give you a quote. There are usually two elements to the pricing: the artist’s fee and their expenses. A letter of agreement is useful for establishing expectations and for preventing problems due to misunderstandings. 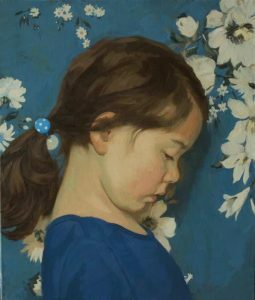 Most portrait artists take a deposit before starting work and the rest on completion. Three or more staged payments can be made for larger works but a single second final payment on completion is more usual. The number and length of sittings will vary according to the artist’s technique and style. If an artist is working from life, six to ten sittings of about 1 1/2 hours to two hours would be average. 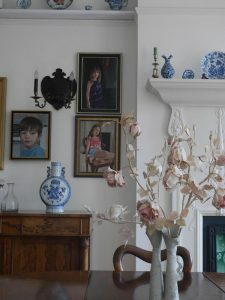 The use of photography can cut this down to one or two sittings. Occasionally under very special circumstances, such as when a portrait is posthumous, there are artists who can work from photography alone. Likewise, the length of time it takes to complete a work varies hugely. 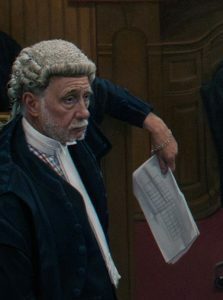 Three to six months is often the sort of time a painted portrait takes, but each artist is different and the availability of the sitter for the sittings is an additional variable. Most portrait painters are happy to travel to their sitter. 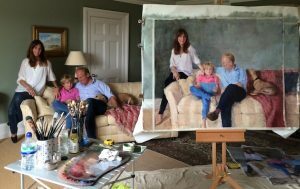 The frame for a commissioned work rarely forms part of the commission but most portrait painters know what sort of a frame suits their work and will often oversee the process for you. We are used to seeing ourselves in the mirror or in photographs; by contrast, we have never seen ourselves when translated through the imagination of an artist before. The portrait artist will be teaching you to see things in a new way – the more you look, the more you will see. At the end of the day investing in a portrait is investing in a thing of joy for generations to come. A commissioned portrait is not only a token of love or esteem, but it can also be a great work of art and a legacy to the future; after all Mona Lisa, the Girl with a Pearl Earring and the Arnolfini Marriage are all examples of commissioned portraits.